Once again, I asked you on twitter what you wanted to read about Judith Gyrran this week and your reply was, that you wanted to know, how the project came to be. The first idea for Judith Gyrran came to me, when I watched Barbarella for the first time, while being drunk. Pretty unspectacular, I know. I followed that up with a few episodes of Buffy – The Vampire Slayer and a tiny idea of a science fiction heroine popped up in my brain. I wrote some notes on it and worked on other projects for a while. But I kept coming back to it, changing the basic concept, adding more details and giving it a small plot outline. Very early on I decided that the story is best told in an episodic format. Since I was working on a fairly long science fiction novel at the time, that seemed to be the best approach for me, but I never came around to write it, since I didn’t feel that a book would be the best format for that story. It was at that moment, that Christian Biever from Ogardonix approached me with his idea to create a Choose your own Adventure videogame. I was already working on Ralin: Dwarf Wars at that moment, gathering first experiences as a videogame writer, so I was totally up for this. 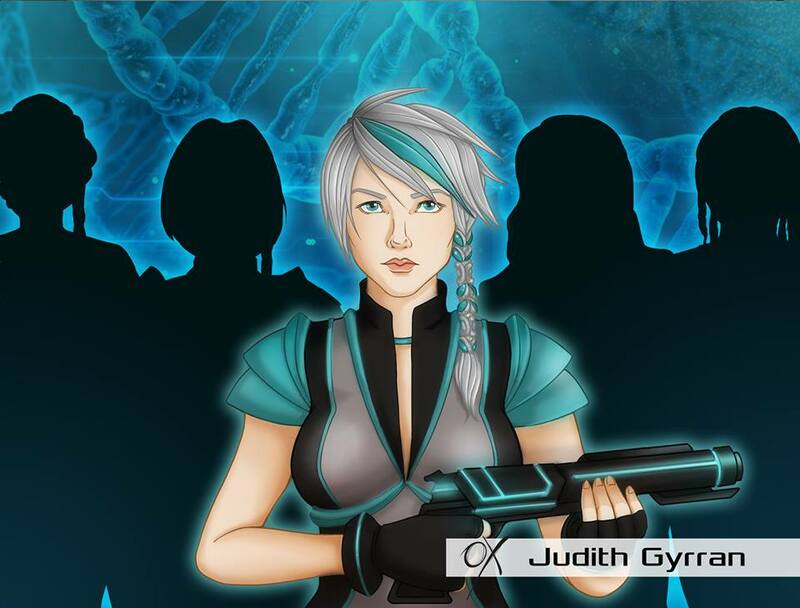 An episodic Visual Novel would be a great fit for Judith Gyrran, I thought. So I sat down and put more work into the concept. One of the most defining ideas was, that I wanted to create a heroine everyone could identify with. I looked for James Bond and Doctor Who for some inspiration and decided that a heroine who could change their look drastically between episodes would be the best way to achieve this. I was fascinated by a character, that could change very drastically during the storyline. It would also make it easier to tackle topics of racial diversity, so I was all for it! The basic plot for the first episode was ready fast and during the writing of it, I developed the entire plot for the season of six episodes. There are many details that were filled in later and are still being filled in, but overall, the plot structure is complete. Episode 1 is making great progress and episode 2 is already in early development now. Enjoyed this blogpost and want to know more about Judith Gyrran? Check her out on Facebook and Twitter then! 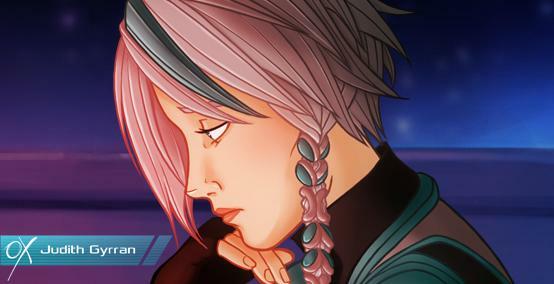 You can also get a newsletter with exclusive news! Just send an e-mail to judithgyrran@gmail.com! I asked on twitter, what the next blogpost should be about and you were really clear that you wanted to know more about the universe! Now I can share some information on that subject with you, but of course I’ll try and keep it spoiler free and won’t tell you everything about it. As I wrote in the introduction, the story of Judith Gyrran takes place in 2784, so more than 700 years into the future. Humanity has expanded into space, but has hit a barrier, which limits their space travel. They can’t cross it and have dubbed it “The cocoon”, since it is hindering their progress. When humanity first encountered the cocoon, something else happened: Ancient robots have reactivated and began operations whose purpose is unknown to humanity. They are not hostile until they are attacked and generally seem to mind their own business. Their number is small, but their presence instils fear in those who encounter them. Their weapon technology is beyond what humanity has achieved, so if a fight happens, there are huge losses on the side of the human military. Speaking of which, the United Human Military (UHM) is one of the most important forces in this universe. Even though no alien lifeforms were encountered that were evolved enough for space flight, the UHM is the body that controls all human colonies. Even though some of those colonies successfully rebelled, Earth is still largely in control of humanity thanks to the UHM. 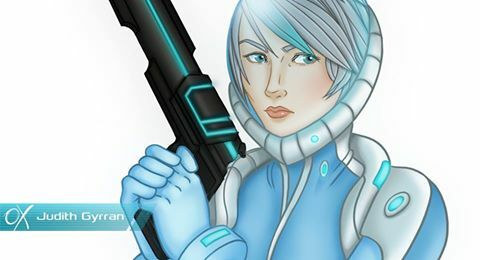 The UHM does not only have an army, but also contracts independent mercenaries, like Judith Gyrran. Those mercenaries who joined the colonies are generally referred to as pirates, even though they are not always on looting missions. I hope this gives you some insights into the dynamics of this world. A lot of these elements won’t play a role in the first episode, however, their importance will increase from episode to episode. Stay tuned for next weeks blogpost and follow Judith Gyrran on Twitter or like her on Facebook and let me know, what you want to read about next! Early in the concept stage of Judith Gyrran, I decided that the players should have some input into how the series will evolve over time. Of course, there are the choices players will make during the episodes themselves, but I wanted to have an additional element, where the community as a whole would voice their opinion. That’s where Judiths unique characteristics come into play: Since her looks change between each episode, we will design several variations and the community can pick their favourite one. We already tried this with our colour test for the very first episode and were please by the feedback it got. So, I’m really looking forward, how this will evolve in the future, especially since this is a completely new experience for me as a writer. There is always the possibility to ask for more feedback, but so far, this is what’s been planned for the series. Want to know more about Judith Gyrran? Check out this blog post!